The author of this reasoned polemic comes down hard on scholars and museums. For nearly three decades, Oscar White Muscarella has roamed the intersecting worlds of archaeology and museums like a biblical prophet--confronting powerful institutions and wealthy individuals with an uncompromising message and shaking the comfortable complacency of art historical scholarship. Preaching the evils of the antiquities trade and the plunder that supplies it, his ire has fallen most harshly on museums and scholars who often use looted artifacts in constructing their interpretations of ancient cultures. 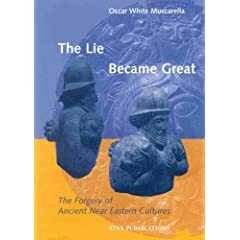 Now, Muscarella presents his views with implacable passion in a new book, The Lie Became Great: The Forgery of Ancient Near Eastern Cultures. The book's argument is that scholars of antiquity have long been indiscriminate in their treatment of objects that are presented as ancient, but which appear with no concrete evidence to have been recovered from a proper archaeological excavation of a known site. Yet without such documentation, the very authenticity of the object is in doubt and any historical conclusions based upon it rest on tenuous ground. According to Muscarella, such misinterpretations permeate the cultural history of the ancient Near East. 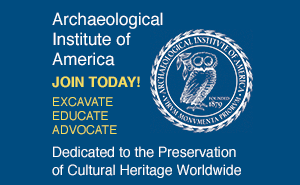 A staff member of the Metropolitan Museum of Art since 1964 and currently a senior research fellow there, Muscarella attacks this kind of scholarship not just for creating false knowledge, but because it serves to promote the illicit trade in antiquities by authenticating and enhancing the aura of orphaned pieces. The system he describes is abetted by a mafia-like code of silence within museums and academe that conceals information and impedes exposure of the underlying process of plunder, forgery, and smuggling. The book has extensive endnotes and bibliography, but its content is far from the detached balance expected of academic works, and the notes tend to contain more anecdotes than substantiating sources. The shorter first section, aptly titled "Introduction and Polemic," provides the general framework, discussing in merciless detail the operations and interdependence of the "Forgery Culture" and the "Collecting Culture." Muscarella describes with fervor how the scholarship of the ancient Near East has been corrupted by the infiltration of artifacts of dubious authenticity and their use by generations of scholars in reconstructing past cultures. His view is that only artifacts excavated from proper archaeological excavations can form the basis for understanding ancient cultures, and he blames a "close relationship between scholarship and commerce" for the successful proliferation of forgeries. The evidence he presents indeed paints a sordid picture of decades of deeply ingrained symbiosis, in most cases due more to scholarly gullibility than venality. Various types of forgeries are discussed. The majority are of the usual type: totally modern objects intentionally made to deceive a purchaser into thinking that they are from the ancient Near East. Here Muscarella--by the sheer size of his listing, which he claims is only the "tip of the proverbial iceberg"--is trying to refute claims of many dealers and museum personnel that forgeries are a "minor" problem within the trade, and that the few that may appear can be easily detected. (Numerous objects listed come from one dealer who is well known for asserting his unerring ability to spot a fake.) Yet the Catalogue makes it clear that, without appropriate scientific analysis (rarely done), the identification of forgeries is a highly subjective process. Sometimes Muscarella provides detailed explanations for his conclusions, based on variations in style, aberrations in iconography, or anachronous manufacturing techniques, but often a piece is simply dismissed as a fake with comments such as "disturb us," "seem queer," "a horror," or "as stupid as they come." He himself admits uncertainty about many of the items, and in several cases has changed his mind since previous publications. Can all the objects in the Catalogue be proven to be forgeries? No, but neither can they be proved to be genuine--this is Muscarella's essential point. Perhaps even more devastating to our knowledge of the past is the widespread practice in the illicit trade of falsifying the alleged findspot of genuine antiquities. Once certain cultures become popular with collectors, other plundered artifacts appear on the market with the same attribution, although they may in fact come from a totally unknown area. A variation of forging provenience is the dealer's claim that individual objects were found together as a "hoard" or "tomb group," thus supposedly increasing their historical significance. In one example, Muscarella describes how ten silver vessels on sale in Munich were used as evidence for an Urartian dynasty and linked (without basis) to a site in Patmos. He ridicules the ignorant notion that looters who destroy sites would scrupulously maintain the integrity of groups as the objects pass from their place of discovery through the complexities of the antiquities market. Since provenience is the essential core of archaeology, the forgery of provenience is particularly insidious, as it uses authentic artifacts to create a false picture of the ancient past. Muscarella also details the common practice of adding modern embellishment to genuine (but plain) artifacts in order to increase their appeal to the serious collector. He notes the many instances when objects found in controlled excavations are plain, but items on the market, said to be from the same culture, are highly decorated. Muscarella demonstrates the pervasive penchant of scholars to publish the anomalous pieces that appear without documentation in museums and collections, and their naive credulity in accepting the provenience assertions ("said to be from") of dealers. Rather than suspecting the authenticity of such unique objects, tortuous explanations are provided to give the object an exciting "history" and (perhaps not fortuitously) increase its value. As a result, much damage has been done. Entire "cultures" (such as "Amlash") are known solely from market material and have no archaeological basis. No "Median" art has ever been excavated yet many objects receive this attribution. Whole classes of artifacts, such as a group of "Mycenaean" gold plates said to be from Phoenicia, have no certain authentic parallels. Spurious iconography forms the basis for far-reaching claims, such as the motifs on forged plaques which have been used to assert that the people of ancient Luristan practiced Zoroastrianism. Alleged proveniences--such as Luristan bronzes said to have been found in Urartu, and Urartian art said to be from the Caspian area--have led to revolutionary interpretations of ancient trade. Two lapis-lazuli disks (claimed to be Sumerian) have provided the basis for sweeping reconstructions of ancient topography, heirloom traditions, recarving methods, provincial artistic style, and military troop movements. Muscarella urges archaeologists to ask themselves why it is that excavations fail to produce objects like the unprovenienced aberrations that they publish. The author casts himself as the lone voice crying in a philistine wilderness populated by dupes and accomplices of the antiquities trade. He names a host of villains--most prominently Arthur Upham Pope and Roman Ghirshman, dealer-"scholars" of the mid-twentieth century--but several more recent figures are also denounced, including Thomas Hoving, Pierre Amiet, Dietrich von Bothmer, and John Boardman. Numerous other miscreants appear simply as "a museum director," "a scholar," "a major university," or "a United States collector." Not surprisingly, publications that feature undocumented antiquities (real or fake) or directly promote the trade, such as Biblical Archaeology Review and Minerva, receive harsh criticism, but so do scholarly journals that accept articles discussing undocumented objects, and even such ephemera as the Home section of the New York Times and the Nieman-Marcus catalog because they glamorize collecting. Several of the forgeries listed have appeared in the pages of ARCHAEOLOGY. Despite his condemnation of scholarly use of undocumented antiquities, Muscarella does not oppose the publication of such pieces in what he considers the proper manner (they cannot be given the same authority as those that were scientifically excavated). This is a difficult and complex issue on which there is considerable difference of opinion among thoughtful and well-intentioned scholars. Muscarella himself admits that he "wrestled" with the decision which was "reluctant and heartbreaking." Nevertheless, he does not hesitate to deride those who have spent nearly as much time as has he reflecting on the issue, and who have reached a different conclusion. While alluding to this reviewer (not by name) as "one of the few scholars active in the good fight against plundering," he proceeds to caricature and then mock my position. He also castigates the AIA for its policies on scholarly use of undocumented artifacts, even though he played a major role in bringing about the adoption of those policies. The prophet is not inclined toward nuance or complexity, but retains his unsparing vision of black and white. Despite his rhetorical excesses, Muscarella reveals from an insider's perspective a reality of which the public has too long been unaware. In one way or another, museums are supported by the public, yet many continue to operate in a veil of secrecy that would be unthinkable in any other public institution. While some forgeries (when identified) may quietly be removed from display, aggressive efforts to scrutinize questionable objects are rare, and as Muscarella shows, even known fakes are sometimes left on view for "political" reasons. And with recent increased attention to the destruction of archaeological sites from looting, museums that still acquire undocumented antiquities have even less incentive to change misleading labels that have long accompanied pieces from illicit sources. Years ago, Oscar White Muscarella was the first to raise within the archaeological profession the issue of forged provenience and its effect on the discipline. His call to ethical standards and awareness of the mechanisms of the illicit antiquities trade raised the consciousness of a younger generation of archaeologists and moved organizations such as the AIA and the International Council of Museums toward the establishment of new standards. Many problems remain, and change comes slowly. Yet Muscarella may have failed to notice how much of an impact he has already had. 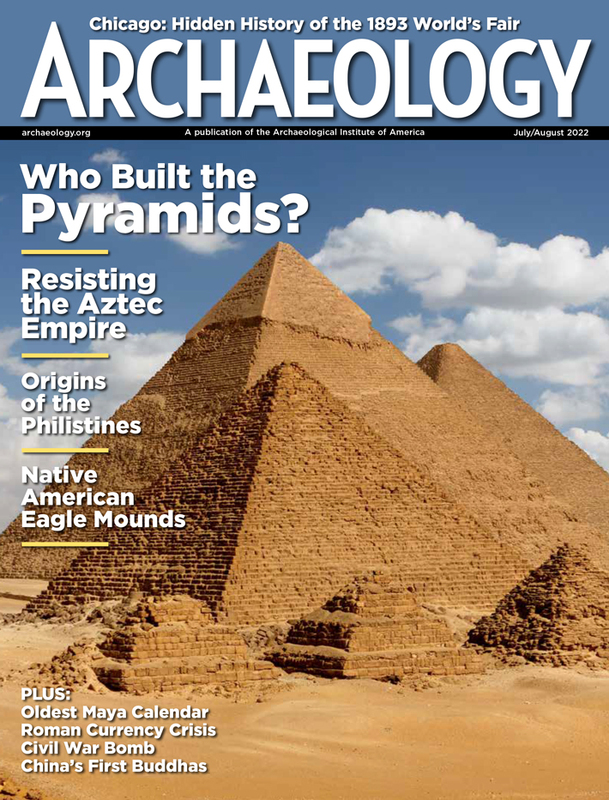 Ellen Herscher is a contributing editor to ARCHAEOLOGY and former editor of "The Antiquities Market" section of the Journal of Field Archaeology.